This is a Fat 8th evening bag. 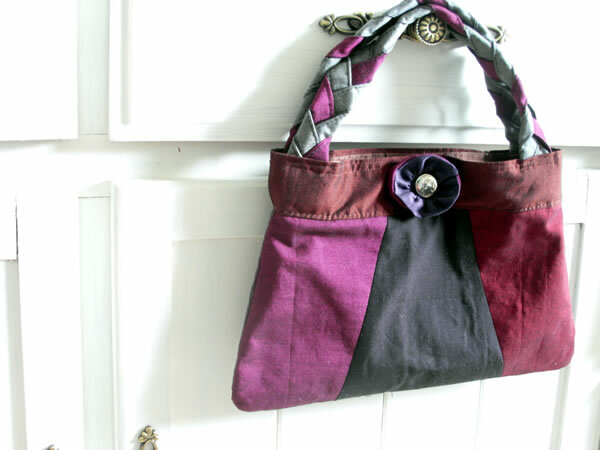 Ideal for using up small pieces of fabric this pretty evening bag is ideal for when you do not have much to carry. You can keep it simple or decorate it with plaited handles and a decorative flower. Tagged bag, bag pattern, bag tutorial, bags, evening bag, evening bag pattern, evening bag tutorial. Bookmark the permalink.